Created Saturday, 20 August, 2011 . 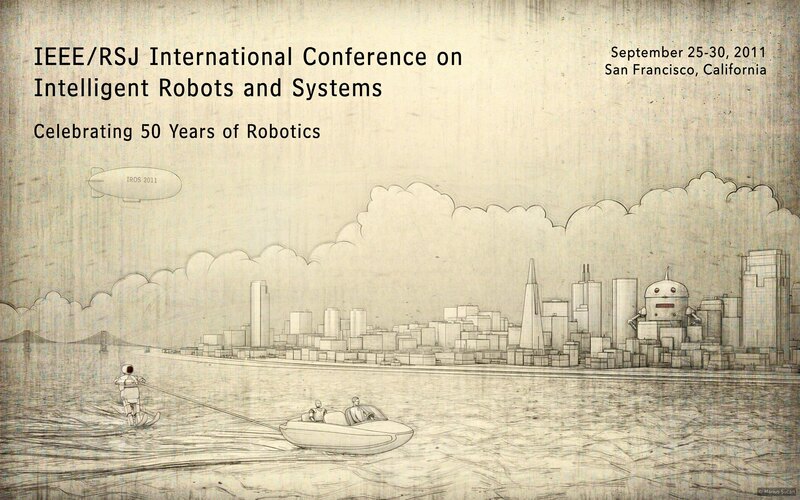 Image made for the Open Perception non-profit foundation with the occasion of the IEEE/RSJ International Conference on Intelligent Robots and Systems (IROS 2011) organized in September 2011. The image presents a futuristic world where autonomous robots can participate in daily human activities, such as leisure time. I did a cityscape inspired by San Francisco Bay Area. The monochrome image is made to look like a sketch on a suggestively wornout paper. Tags: 2011, 2d, 3d, cityscape, conferences, future, illustrations, monochrome, ocean, pcl, robots, sketches, technology.